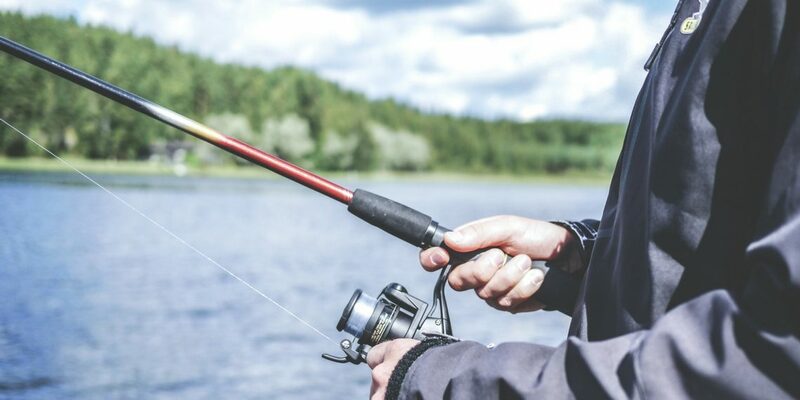 If you’ve made the switch to fishing with braided line, you may be wondering if there are good options to use with spinning reels. The short answer is: yes! Due to the way it’s made, braided fishing line offers anglers some unique and compelling advantages. It’s significantly stronger than a mono or flourocarbon line and doesn’t stretch (so you can feel nibbles much more easily). On the flip side however, its friction causes some people to worry about casting with a spinning reel. Thankfully, modern hard coatings reduce line memory and wind knots, improving the overall “castability” of braided line. Because of this, a hard coating is the most important consideration to look for in a braided line. The number of strands a line is braided with is the main factor in how strong a line is. Three strand braids are the weakest of the family. In addition to 3 strands, you can also find braids with 4 or 8 strands. The more strands, the greater the strength…. and greater the cost. After researching and comparing, we’ve found that the best braided fishing line for spinning reels is the Spiderwire Stealth Braid. The Spiderwire is lightweight, and strong (their newest offering claims to be 30% stronger, and we believe it!). Because of its polyethylene microfibers, there is less friction and guide resistance, which means fewer wind knots. It’s also whisper quiet, hence the “stealth” label. This allows you to hit the holes that you want to with confidence that you can make a great presentation to the fish. Another really compelling benefit of Spiderwire is that it doesn’t stretch. This gives you ultimate sensitivity in feeling fish nibbles. Finally, the new spool that Spiderwire makes is lighter and thinner, so it’s less in your pack. If you talk to a lot of people that run Spiderwire, you’ll hear mixed things about it’s strength. A lot of people love it, reporting bigger pulls and less breaking. Other people say the actually lose more lures, because they can’t pull their lines free of weeds and snags. Almost everybody likes the mossy, greenish-grayish color, with a lot of guys swearing that it’s helped in their presentation on “big haul” days. All in all, we love this line and recommend it. Interested in seeing our complete comparison and review on braided fishing line? Check it out here.